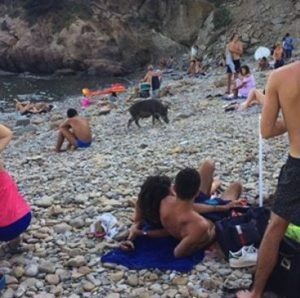 A wild boar and her family–dark like their mother and striped–took a fearless stroll on a Tuscan beach to the incredulity of sunbathers, then the mother laid down on the pebbles and proceeded to start nursing. The incident took place at Calignaia in the province of Livorno. 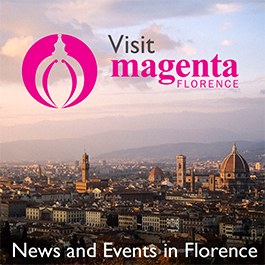 To see a photo gallery, visit Florence’s La Repubblica news site.